With a new director in tow, and no longer forced to pay third wheel to all the Batmen and Supermans and their inevitable, justice-dawning versusing, Wonder Woman’s own superhero movie has finally started in on principal photography. To celebrate the occasion, Amazonian actress Gal Gadot has tweeted out the first picture of herself in character on the movie’s set, showing a side of Wonder Woman that’s far less martial than what we’ve previously glimpsed in the background of trailers mostly focused on Ben Affleck and Henry Cavill glaring manfully at each other. 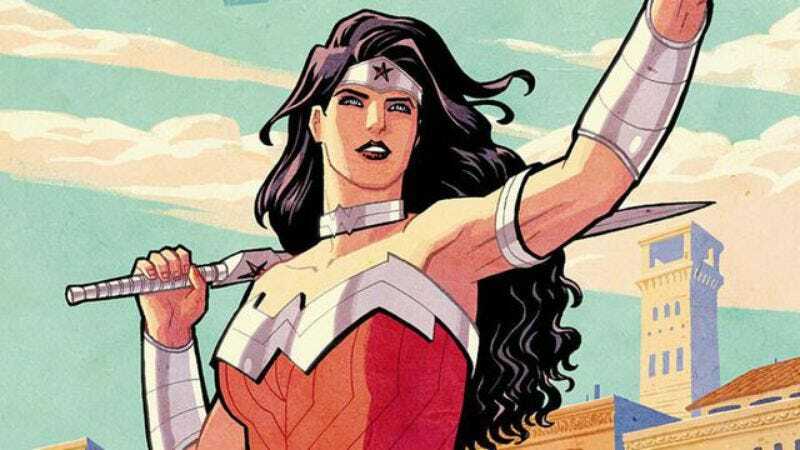 Wonder Woman will also star Chris Pine and Robin Wright, and is expected to finally arrive in theaters in the summer of 2017.